we manufacture many different designs of NAPKIN RINGS in sterling silver and silver plated. One of them is Georgian style napkin rings. We have 2 sizes of this pattern, 20 mm & 25 mm height. It is one of the wonderful gift for some one you love. Be it your son, daughter, mother, father, friend or your love. This gift will always be cherished by all thruout their life. 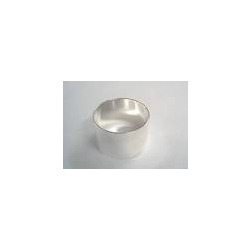 Being a well-established organization, we are engaged in manufacturing, exporting and supplying a distinguished range of Sterling Silver Napkin Rings that are broadly used in various high class societies, hotels and other related places. These rings are manufactured utilizing optimum quality silver with high end tools. The offered rings are available in different designs and shapes as per client’s requirements. Our quality experts tested these rings before delivering to the customers. We are offering customized products. With sincere intentions to uplift our reputation in the market, we bring a distinguished assortment of Sterling Silver Napkin Rings. Provided rings are manufactured with high quality silver and high end equipment. 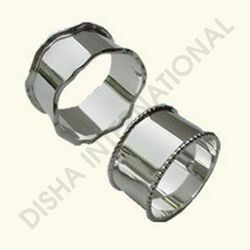 These rings are used to provide a enhance look to the dining tables in various society parties and also used for other related places. Our offered rings are available in numerous specifications as per the market standards. We provide these rings to our clients in the committed time and affordable prices. We are offering customized products.